Big Red Car here going international on y’all. Today, we discuss what the Hell is going on in Iran. 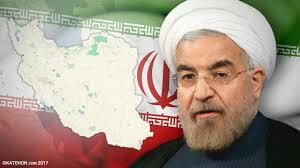 To refresh your memory, on 14 July 2015, the US and others (Russia, China, England, France, Germany) entered into the Iranian nuke deal (Joint Comprehensive Plan of Action) with the objective of halting Iran’s lurch toward becoming a nuclear power. Many say the agreement was flawed. Haha, sorry. The plan was not approved by the Senate, as is required of binding American treaties, for the obvious reason that the Senate would not have approved it. Candidate Trump campaigned on the promise of pulling the US out of the JCPA and on 13 October 2017 the US – at President Trump’s direction – did not make the required “certification” to continue the deal. Subsequently, the US and Israel revealed that Iran had failed to disclose a past covert nuclear weapons development program as required by the original 2015 agreement. Oooops! Big Red Car here in drizzly ATX — even when it rains in paradise, it is still paradise, y’all!